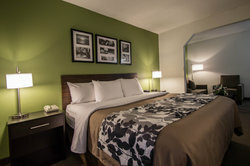 Rest, relax and truly unwind - whether traveling for business or pleasure, enjoy a great night’s sleep in our Dania Beach hotel rooms near Fort Lauderdale International Airport. 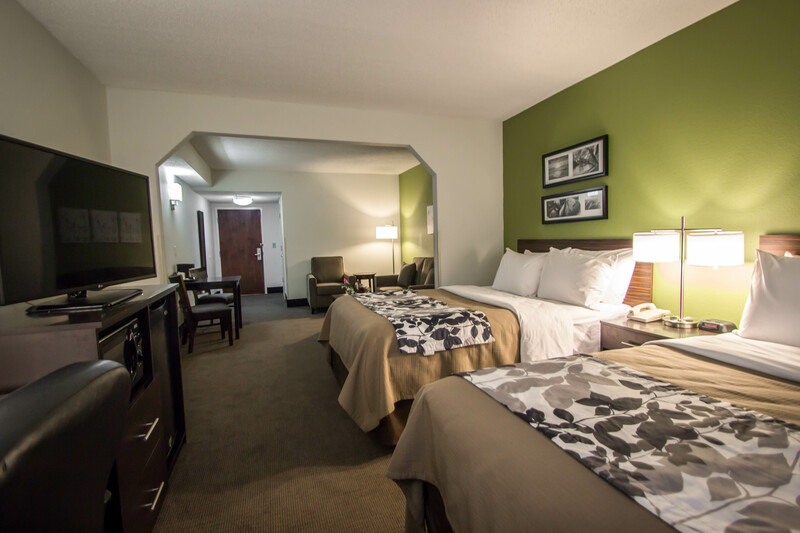 When you choose our hotel, you will get all of the comforts of home – from complimentary Wi-Fi to laundry facilities, HDTVs and more! Our accommodations in Dania Beach are perfect for those looking to head to the beach, or for a pre-cruise stay with convenient access to the cruise terminal. 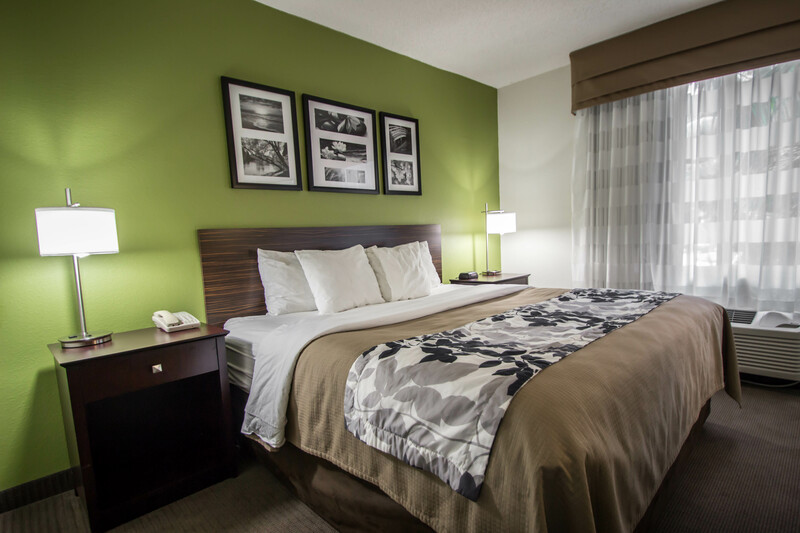 Sleep Inn & Suites Ft. Lauderdale prides itself on full-service amenities, spacious guest rooms, and excellent complimentary perks to enhance your stay. 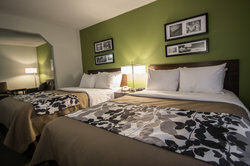 Check out our different room types and see what our Dania Beach hotel rooms have to offer you! 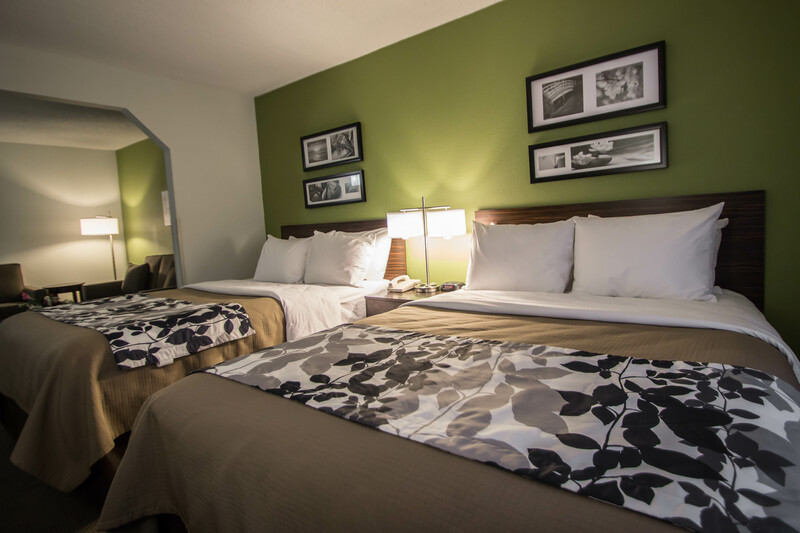 Stay at Sleep Inn & Suites Ft. Lauderdale offers a myriad of wonderful in-room conveniences. 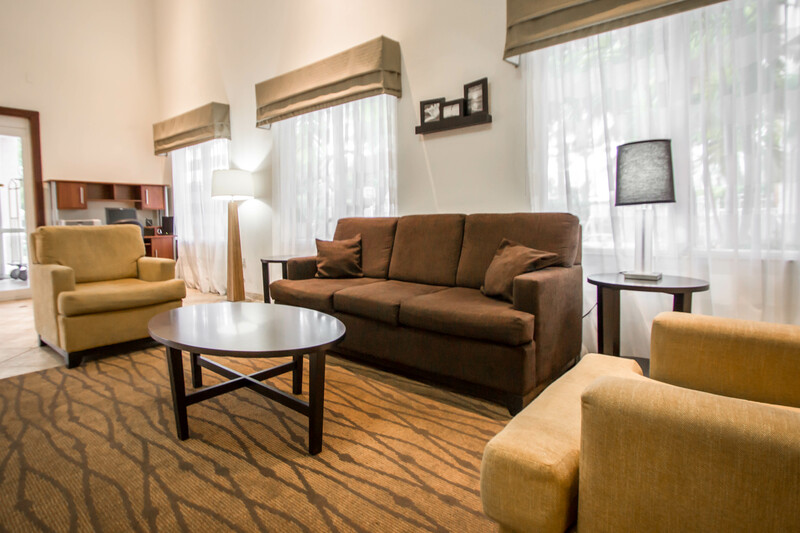 Start your stay with connectivity thanks to our free Wi-Fi, allowing you to easily contact home or the office. Wake up each day to a delicious complimentary breakfast spread filled with eggs, muffins, and more! Each and every room at our Florida hotel offers a flat screen HDTV for entertainment and privately controlled air conditioning. Coffee and tea are accessible at all times with your very own in-room machine and free sachets. 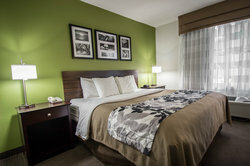 Explore our versatile hotel rooms in Dania Beach, Florida below. 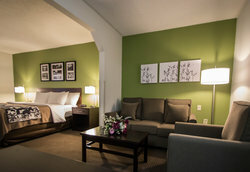 Tour four diverse suites, as well as two different standard room types. With such versatility, you are sure to find the ideal accommodation for you! 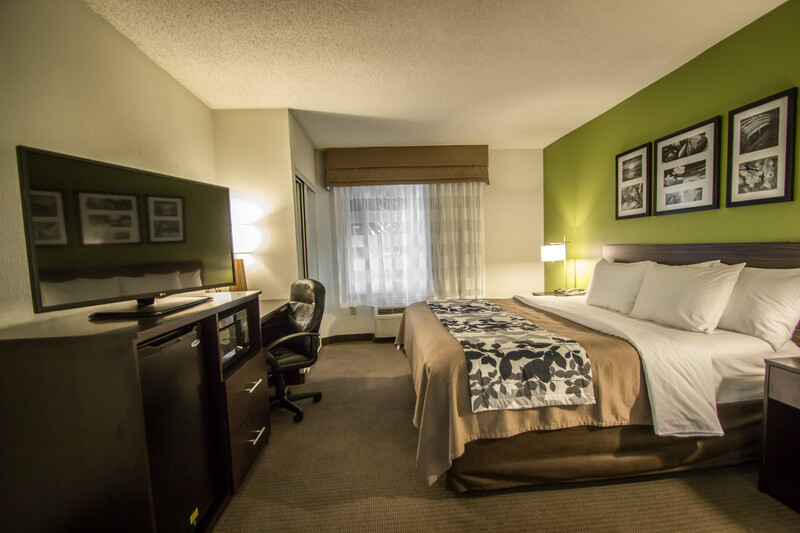 Our accommodations offer a variety of bed sizes and sleeping arrangements, as well as accessible rooms for your convenience. Book your stay in our Dania Beach hotel rooms today! Sleep Inn & Suites Fort Lauderdale awaits. Relax and enjoy a taste of luxury in a King Suites at the Sleep Inn & Suites Fort Lauderdale in Dania Beach. 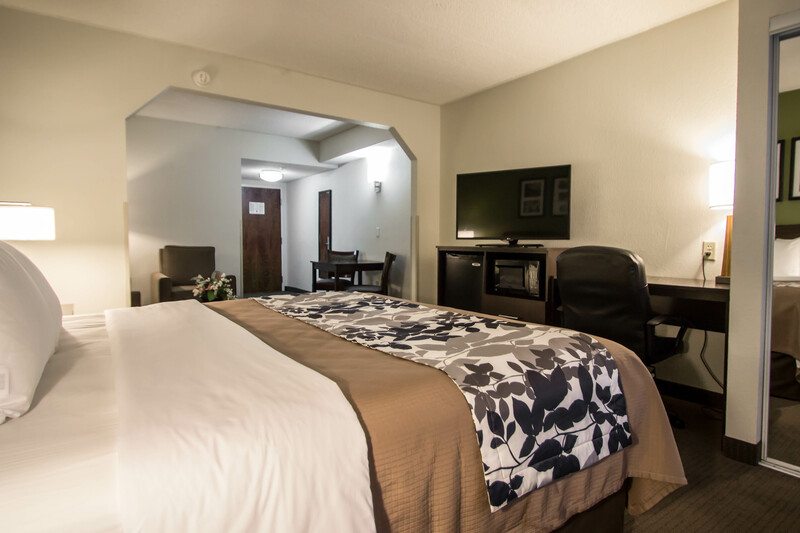 Our King Suites come equipped with everything you might need for your stay, including free Wi-Fi, a mini-fridge and microwave, a separate sitting area, free airport shuttle, and more! Contact us for details about our King Suites. 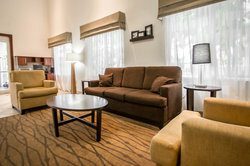 This spacious suite features a separate seating area with a sofa bed. A microwave, refrigerator, and cable TV are also included. Please note that the price is based on 2 guests. An fee applies for each additional guest. If you or someone you are traveling with has accessibility needs, be sure to book an Accessible King Suite at the Sleep Inn & Suites Fort Lauderdale in Dania Beach, Florida. These suites are hearing and mobility accessible. If you have any questions, please don’t hesitate to reach out. If you are traveling with a small group and someone in your group has mobility or hearing accessibility needs, book an Accessible Two Queen Suite which features hearing accessible amenities as well as a roll-in shower. In the morning, join us for a complimentary breakfast – we look forward to having you! This room features a cable TV, small refrigerator, and microwave. Coffee-making facilities are also included. 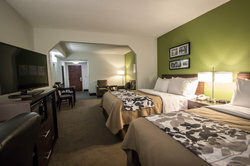 Book this special Dania Beach hotel room during your next stay in Fort Lauderdale. Our Accessible King Room features ground floor access as well as hearing accessible amenities. Enjoy complimentary breakfast and Wi-Fi as well as an in-room refrigerator and microwave. Contact us with any questions you may have – we’d be happy to help!